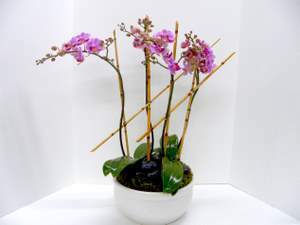 Not only will this elegant orchid plant, embellished with bamboo, live longer than an average bouquet or arrangement, the Chinese believe that orchids signify refinement & beauty. What mother wouldn't love to hear that! Browse all of our seasonal options for Mother's Day. We can't decide if we prefer the beautiful sunny weather or the much needed rainy days. April showers do bring May flowers! Such as this lush design including hydrangea, roses, & cymbidium orchid blossoms. Browse all of our seasonal options. 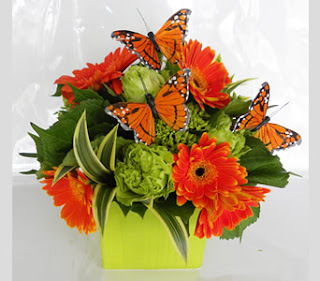 This bright & cheerful bouquet of orange gerberas, chartrueuse roses & hyrdrangeas abound with feathered butterflies is a wonderful gift idea for Mom this Mother's Day. 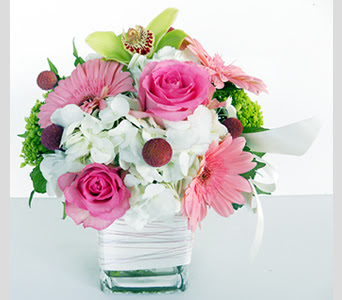 Take advantage of same-day delivery on all our bouquets! B is for Beautiful fresh flowers in every one of our arrangements. O is for Original custom designs. S is for our Seaport location. T is for the Timely manner in which we fill all of your orders. O is for On-time local delivery. N is for Not your average florist. 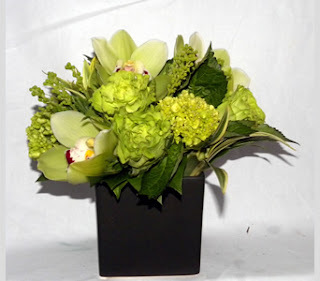 Come visit us to see why Stapleton Floral Design is a one of a kind local business in Boston. 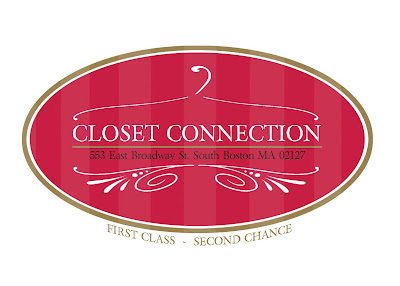 An upscale women's consignment shop in our East Broadway neighborhood who specialize in selling name brand, gently used women's clothing & accessories. It might only be April, but we are already dreaming about some sun, sand & the sea for our Summer Weddings. If you are getting married this Summer & are looking for inspiration, take a look at our Seaside Sensibility Featured Wedding. Fill out the inquiry form to make an appointment with our talented team at one of our Boston locations. 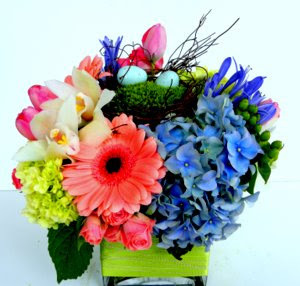 A delightful Easter design filled with robin eggs nestled in an angel vine nest with hydrangea, cymbidium orchid blossoms, tulips, spray roses & agapanthus. Hosting family dinner this Sunday? 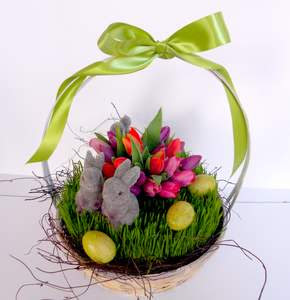 We have created some wonderful custom designs just for Easter. A beautiful addition to your dinner table, home decor or as a gift to family & friends. And we can't forget opening day... Go Sox!